Keyword Word Stem Impact Calculator – Free Download! During the presentation I referenced the Keyword Word Stem Impact Calculator that I use to assess individual word stems and phrases during keyword research. Several people asked if they could receive a copy of it so here it is for your use also! Here is the full powerpoint presentation from the Wednesday February 24th, 2016 event for you to reference. I hope you enjoy it! 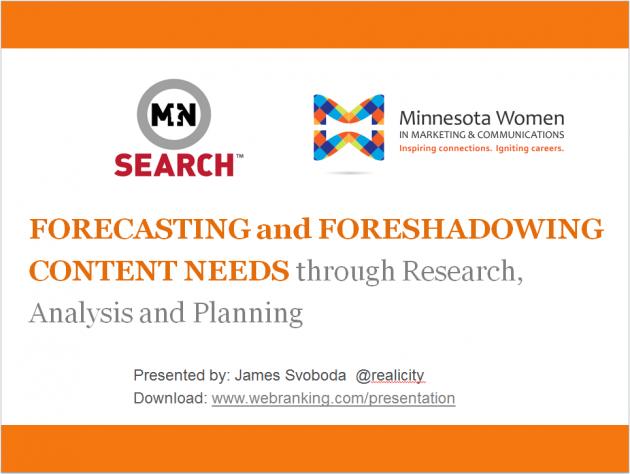 View this this presentation or other presentations from James Svoboda or WebRanking on Slideshare. 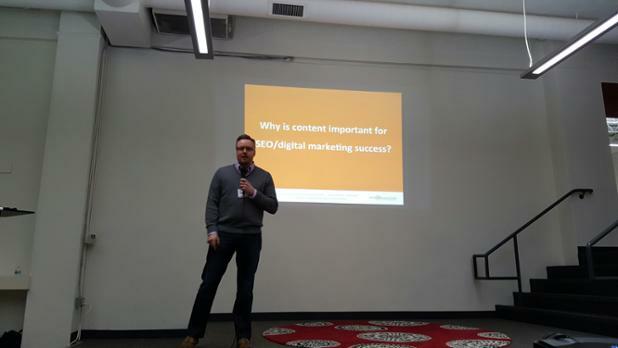 Thanks to the wonderful Jen Jamar for taking this pic during the presentation.